Oct 22 is the Ontario 2018 Municipal Election Day! 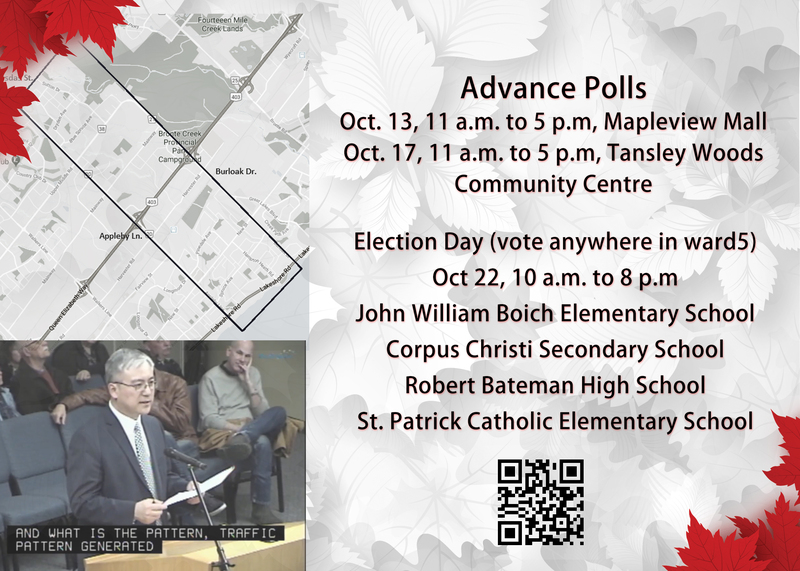 Voters of Burlington Ward 5 can vote anywhere in the 4 voting locations, 10 a.m. to 8 p.m.
Corpus Christi Secondary School – 5150 Upper Middle Rd. John William Boich Elementary School – 2474 Sutton Dr.
St. Patrick Catholic Elementary School – 200 Kenwood Ave.
On Oct 22, Burlington will have a new city council. The bylaws passed by the city council will directly affect the city’s future and our living environment. There are lots of challenges we have to deal with. Community security, services for the seniors, transit, intensification/development, and pro-business environment. We expect to see the positive changes. The changes start with new thoughts on solutions, instead of new faces. As an IT professional with strong technical and academic background, I am the candidate you can trust. I am honest. During the election period, I strictly abide by the election rules and regulations. 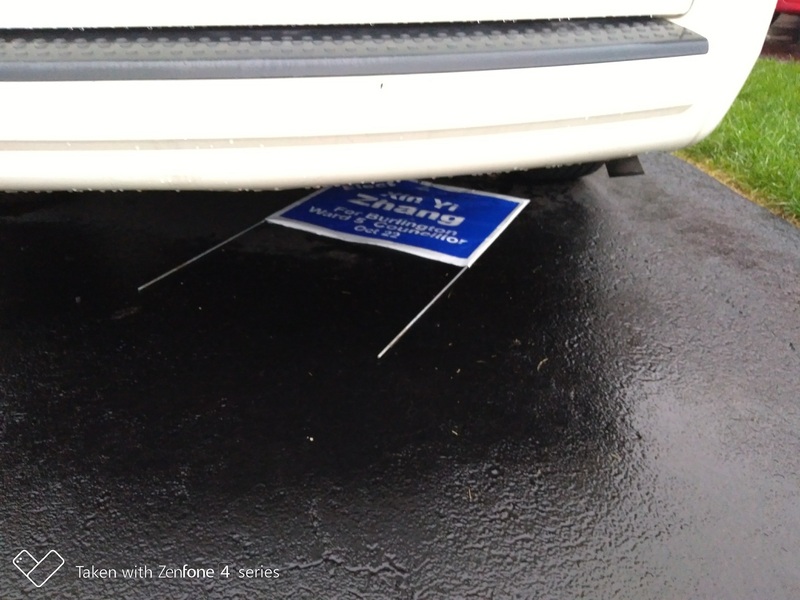 We can proudly say we don’t have a single sign placed on city property. I am dedicated. Since my candidacy registration on May 1st, my volunteer team and I have visited more than 10,000 addresses. We knocked on as many doors as possible to hear our residents’ opinions. On many small streets, the neighbours told me that I am the only candidate they saw knocking their doors, not just dropping the literature, not delivered by paid services. That’s right, none of my flyers were delivered through paid services. I have an education. I have a Master degree on IT Project Management from Boston University. Project management has lots of common knowledge that can be used in different fields. I understand the constraints on scope, budget, and timeline. These are fundamental elements to make things done. 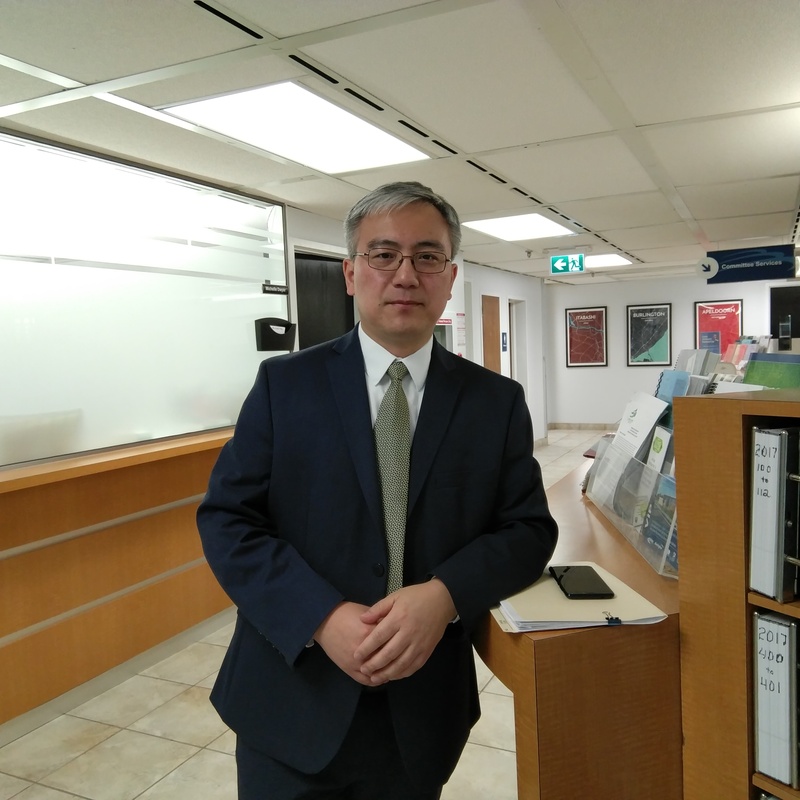 Vote for Xin Yi Zhang, your next Burlington Ward 5 councillor. I have many lawn signs gone or vandalized. Some of them were thrown to neighbours’ driveway. It could happen on windy days, however, it was not on windy day. Some steel frame was bent. I cannot even do it myself. What I can imagine is that my lawn signs got attacked by giant raccoons. Tomorrow (Oct 22) is the election day. Hope no more raccoon attacks. Keep my fingers crossed. 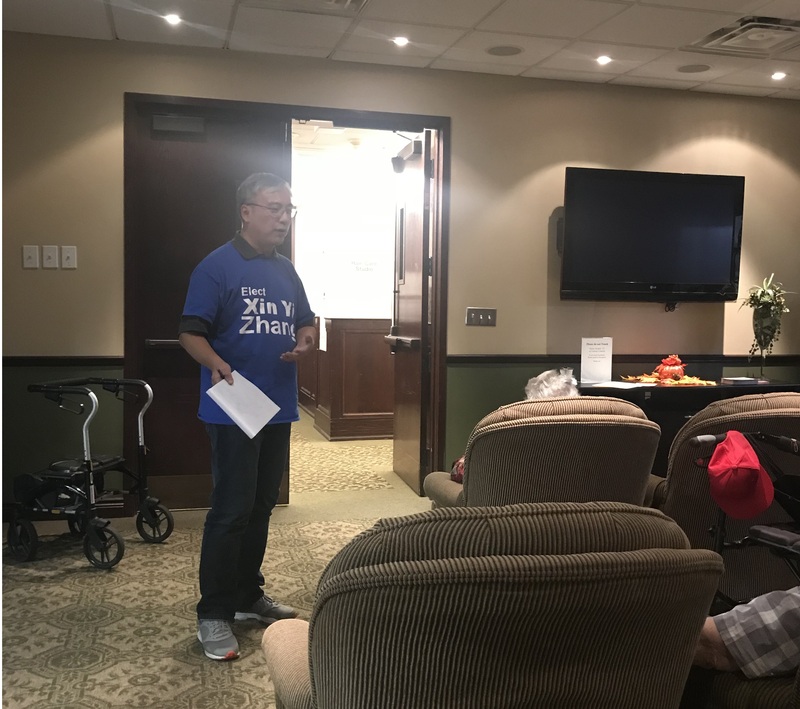 It is a wonderful time chatting with senior residents in a retirement building. Seniors know better what services they need. In order to improve the services for seniors, the first step is listening to our senior residents directly. In Burlington, applying for a nursing home could take a few years due to limited facilities. The needed facilities will be hardly built in the next few years. Then, technology is one of the options. Sensors, voice recognition, 911 auto-alert, all these technologies make home care more comfortable. Accessibility is another aspect the city needs to consider for the seniors. The accessibility doesn’t have to be for people with disability, seniors also need it. We have streets that don’t have sidewalks. These streets are not convenient for walker users. These concerns and needs should be addressed. Seniors’ opinions must be heard in the council. 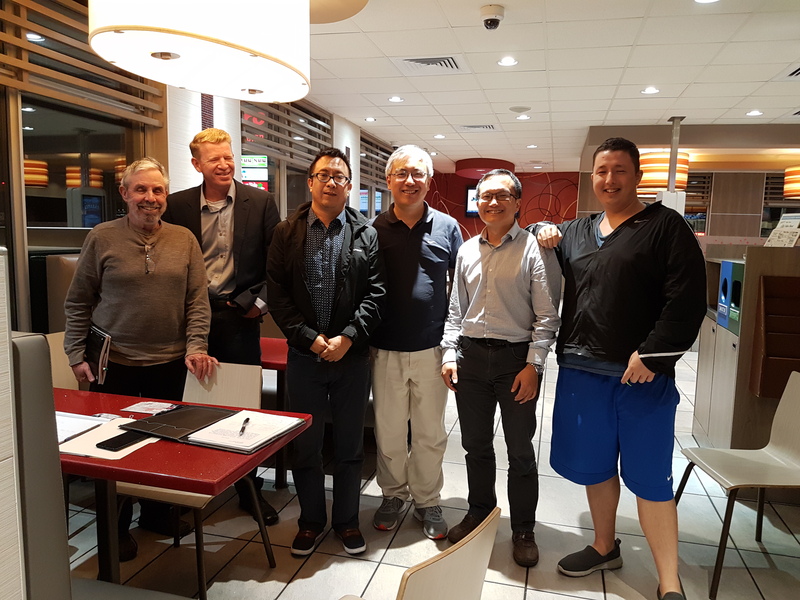 It was a great “Tech Talk” on Thursday, Sept 13 evening with IT professionals, engineers, and a tech company management about applying new tech to improve efficiency in traffic, public transit, community security, and services for seniors. This was just a start of the conversation. We welcome more tech companies, engineers, researchers to join our future discussion. We forecast a very positive result once these changes are implemented. These changes will promote local business development and employment, improve the quality/efficiency of city management, lower the management costs, in turn to maintain our property tax at a reasonable level. We have gathered lots of ideas. We need to prioritize that, make a smart plan, and push these changes once the new city council is formed. The industry is changing. The new tech is mature. As long as we have a long-term vision and take proactive strategy, a promising future is foreseeable. These ideas will be refined in future meetings. Smart Traffic Signal System – Appleby line traffic congestion is a big pain. The Smart Traffic Signals can dynamically adjust the waiting time at each intersection based on the traffic flow so the drivers don’t have to speed. Saving 5 minutes a day on the road can eventually save a lot on gas every year, and reduce emission. Medical Sensor and Alert – This can lower the risks when the seniors staying alone and once some critical situation happens, and the seniors could not make phone calls. The alert can automatically be sent out. Finding Crime – Crimes like home and vehicle break-ins follow a certain pattern, the artificial intelligence system can identify the suspicious behavior on the street. It will be an important crime prevention mechanism. Above ideas may not be perfect. We need to start thinking a cost-effective way that can improve our quality of life. Open discussion will continue. 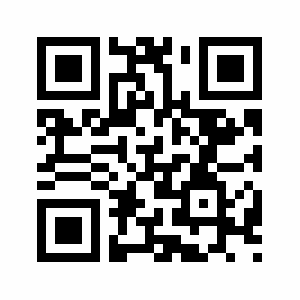 Barcode is an easy way for mobile users to scan and go. There were 2 QR codes just posted in the “Contact” page. 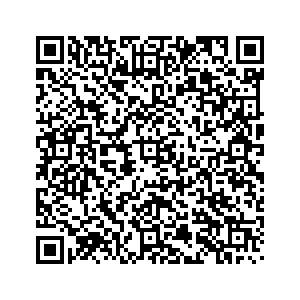 Barcode reader applications on a mobile device can scan, read, and open our campaign website in a browser or popup email tool options. Please have a try. Xin Yi Zhang has submitted the nomination paper. The campaign officially starts. We welcome volunteers to join us, campaign coordinator, literature writers, graphic designers, website designer, canvassing team.